I love this pic and have looked at it several times. It is appropriately dark and foreboding. On a different note, have you read this? I find this guy incredibly thought provoking. Glad you like it. 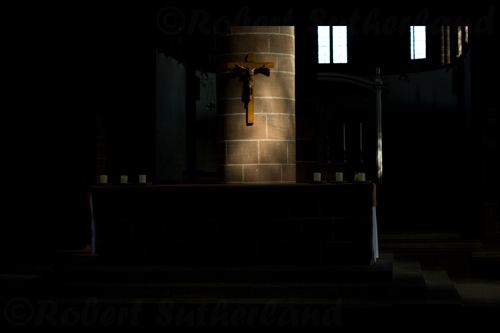 I had to go at just the right time of afternoon so that the sun was coming through the window and hitting the cross! We instinctively empathise with Jesus rather than his opponents.